It’s the first ever mid stage break in Overwatch League history, the London Spitfire have just won the first stage with a 12 man roster and it seems that most teams are looking to this model to improve their own chances of winning. One of these teams are the Shanghai dragons, who were the only team not to win a game last stage. While their roster is improving, it isn’t at the same level as the rest of the league and they need to change this fast. With the tank play currently being the biggest weakness for the Dragons, they’ve decided to make a couple of acquisitions that will help them improve. One of these signings is making people turn their heads the most, the signing of the first female player in the Overwatch League, Off Tank Se-Yeong “Geguri” Kim. It’s the perfect fit for both Geguri and the Dragons, one that should provide an instant boost to a struggling team. While the signings of Genji specialist Gi-Hyeon "Ado" Chon, main tank Eui-Seok "Fearless" Lee and support He "Sky" Junjian are all instant upgrades in their respective positions, the acquisition of Geguri is quite possibly their most important. Geguri isn’t new to the professional Overwatch scene having played in Apex Season Four with Rox Orcas alongside now Boston Uprising DPS player Nam-Joo “Striker” Kwon. While the Orcas didn’t have a great campaign themselves in APEX season four, Geguri quickly became known for her ability to play Zarya in particular the protection she gave her teammates and her use of Zarya’s ultimate Graviton Surge with impeccable precision and timing, resulting in her becoming a rising name within the scene. During stage one, the Shanghai Dragons were quite frankly a mess. There were murmurs of displeasure from Chinese fans, who felt that the roster that was chosen and their play in game was that of a team rushed together, lacking cohesion and confidence. The tank corps of Wu "MG" Dongjian, Wenhao "Roshan" Jing & Lu "Xushu" Junjie were trying their best but unable to provide protection to the support line or peel for their DPS players to create much needed opportunities. They weren't able to play any other off tanks not named D’Va with any effectiveness and even then, the D’Va play wasn’t up to scratch. Geguri had some down time between APEX Season four finishing and getting an OWL opportunity with the Dragons and she used it by focusing on herself, working hard to produce a dangerous D’va of her own and get to a level on Roadhog that would put her in a position to be picked up by a needy team. Geguri will also been able to use past experience of being in the spotlight to help her transition in to the Overwatch League after she was wrongfully accused of aim hacking in 2016. At the 16, Geguri had to prove with both a face and wrist cam in a controlled environment that her skill level with Zarya was legit after having an 80% win rate in 423 games, she did this convincingly and proved that she does indeed that play to the high level that everyone has grown accustom to. This has given Geguri a level of experience that can be used to help Shanghai and help her shine on the main stage at the Blizzard arena. 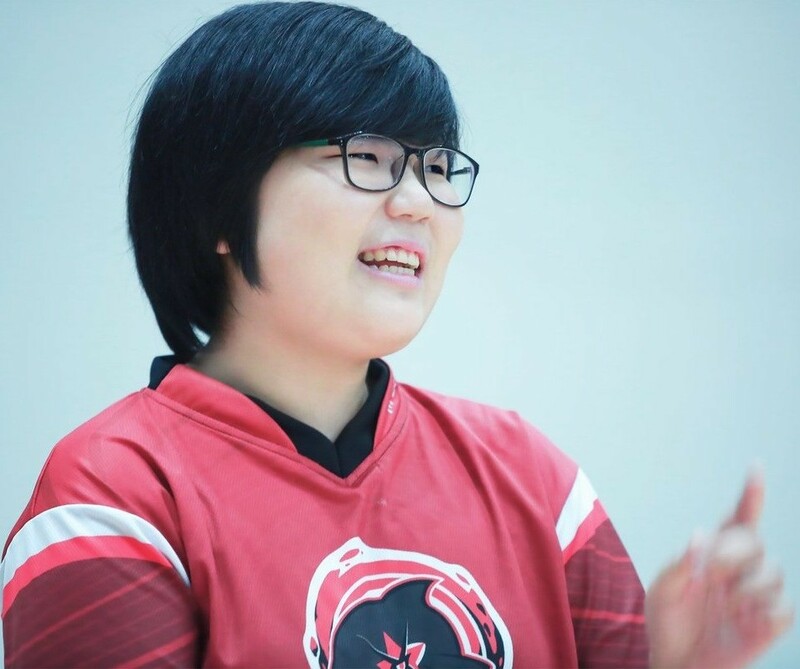 Although she’s not currently in the league, Geguri has made a positive start with her new team mates, having clicked well with fellow Dragon newcomer Ado whilst streaming on a regular basis and on paper looking like she should produce a very effective tank line with Fearless. Although we wont see Geguri till the latter part of stage two, its looking like a bright one for both Shanghai and Geguri. I for one am both intrigued with how it will play out but hoping that both get the results that they deserve.